Importantly, any boats kept in the Club Compound that DO NOT pay Harbour Dues to the Torbay Harbour Authority MUST pay a slipway fee for every usage. 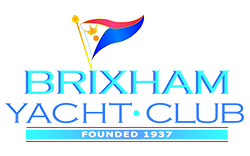 Brixham Yacht Club is not responsible or liable for any failure of Club Members or others to pay the appropriate charges. Brixham Yacht Club brings your attention to the following extract from the Harbour Bylaws relating to competent or young persons. (1) No person shall have the charge of a vessel entering, leaving or manoeuvring within the harbour unless either he/she is himself/herself a competent person or he is acting on the orders of the Harbour Master. (2) No person under the age of 18 years shall drive a power boat within the harbour. All power boats used within the harbour shall have their names or numbers at all times clearly displayed on each side and to the satisfaction of the Harbour Master. For Clarity, the Oxford official definition of a power boat is: – A fast motor boat designed for racing or recreation.